On Wednesday, four U.S. Navy-trained bottlenose dolphins will sweep through the Gulf of Mexico with one purpose: to find and capture a tiny porpoise called the vaquita, which is the most endangered marine mammal alive. 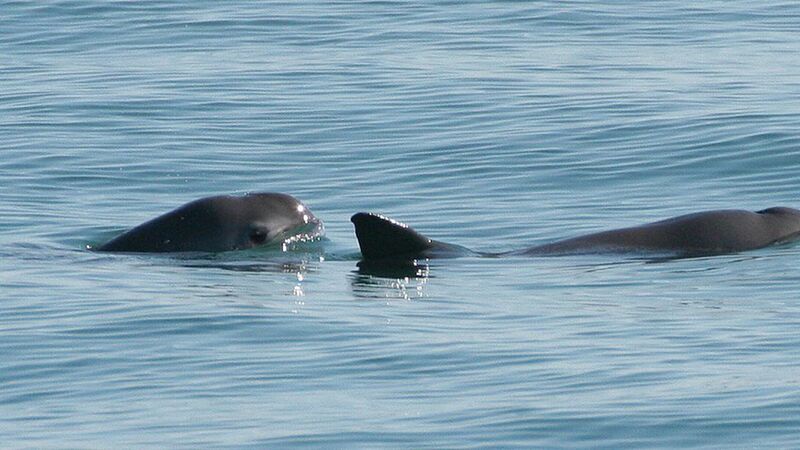 The ultimate goal is to capture the roughly 30 remaining vaquita, and keep them safe until they can be re-released. Why it matters: This is a last-ditch effort to save the iconic species and one that isn't undertaken lightly because some species of porpoise die when they're captured. But Lorenzo Rojas-Bracho, who coordinates Mexico's marine mammal research and conservation program, tells Axios it's unlikely the vaquita will survive another illegal fishing season without help. The threats: Most vaquita deaths are caused by the illegal totoaba fishing industry. Although fishing for totoaba is illegal, trade in the fish's swim baldder "is worth more than cocaine," says Rojas-Bracho. Totoaba are roughly the same size as vaquita, and the porpoises are easily caught in their nets. Derelict, or 'ghost gear' is also a problem: abandoned nets still drift in the sea, entangling animals as they pass. But, but, but: "But we don't know if it'll work. No one's ever tried to capture a vaquita before," Tanya Sanerib, senior attorney at the Center for Biological Diversity, tells Axios. The process will be slow. First, they'll catch just one. If the porpoise seems healthy, they'll observe it for 48 hours in a seapen. If it does OK in captivity, they'll methodically catch the rest. The budget only lasts a month, though, and soon the seas will be too rough to catch porpoises so the effort may take more than a year. What's next: "The real conservation comes when you release the animals," says Rojas-Bracho. "This is just buying us time." That time is needed to end the illegal fishery, find alternative forms of income for the fishermen, and remove ghost nets from the water.